Update the WhatsApp app on your phone. 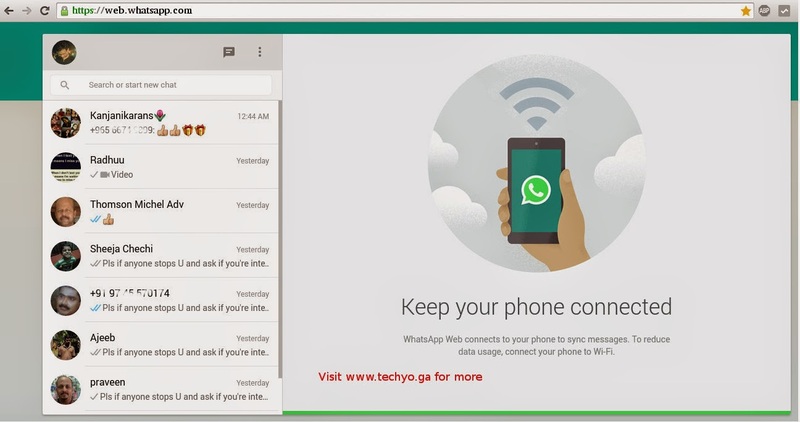 1.Open web.whatsapp.com in Chrome. Other browsers are not supported for now. 2. You will see a QR code. 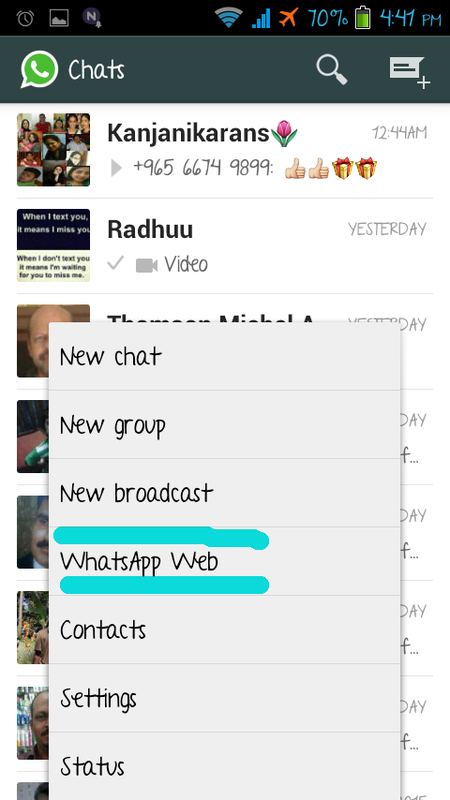 Open WhatsApp and go into menu by pressing on three dots on the top right corner of the app. 4. Point your phone's camera towards the QR code inside the browser. 5. 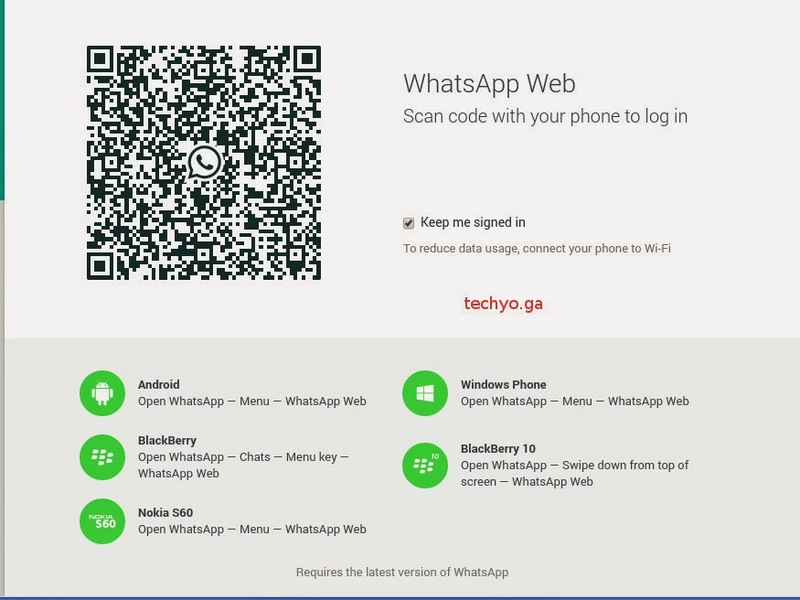 This will pair the phone and WhatsApp data with the browser. To make sure you don't have to repeat the procedure you can check the box so that your login details are remembered.